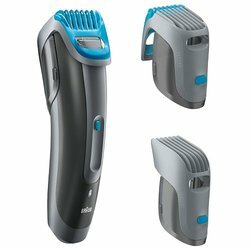 The Braun Cruzer 6 is rated to be one of the most effective beard trimmers from the Braun product line. It is equipped with a dual battery system that would help ensure that you would not lose power while you are trimming. Even these promise that they’re big on power, the trimmer is still really lightweight and it will run really quietly. This is going to make your trimming experiences much more pleasant than you would think. This Braun Cruzer-6 trimmer has a design that will comply with your busy schedule thanks to its easy maintenance and care. You could also run it under the running tap to clean all the hair. The design of the body is such that water and air could not get in, which means that dust or hair would not be able to sneak inside the trimmer either. The waterproof design means that you could even shave without a hitch in your shower. Easy Cleaning of Blade: The easy cleaning feature and the waterproof designs are a big bonus when it comes to this trimmer. You would definitely appreciate how swiftly you could clean the tool and get started with an awesome day. Versatility of Lengths: This best beard trimmer of 2018 has a huge variety of length choices. This could be used to give you a nice and close trim, along with a longer and faded haircut. In fact, this tool here works all over your body- every part is accessible. The sliding guard allows you to change the trimmer lengths easily and quickly. Wet/Dry Hair Cutting: Another nice quality of this water tight trimming tool is that the design makes it perfectly safe for you to cut and clean your beard or hair even if it’s soaking wet. 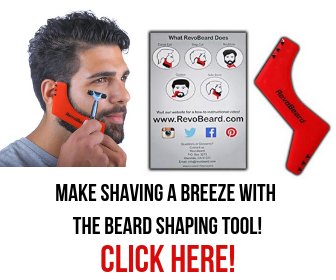 This could make the cutting much easier, especially if you possess thick hair. Needs Frequent Cleaning: Well, it is definitely a good thing the Braun Cruzer-6 is really easy to clean up, because you have to clean it more often than you would like, especially during a haircut, you would need to pause your trimming and rinse the hair out to stop clogging and power loss. Charge and Power Concerns: Although Braun claims that their Cruzer-6 is the top rated beard trimmer they made, there still remains some pretty big issues with the power and battery life. You will have to plug it in more often than usual. Precision Trimmer Could Damage Skin: This precision trimmer which comes with the Cruzer 6 has the chances to cut your skin and also pull out your hair instead of styling you with a smooth and precise cutting. This would probably be an important issue, especially if you were looking for one detail groomer or mustache trimmer. Finally, the Braun Cruzer 6 is designed with a feather-light and water-tight build that opens you up to the possibility to groom and trim your beard or head, or even any other body part, even in the shower. It is extremely easy to clean. The product is equipped with a fine carrying case. In case you need a precision trimmer, this one might give you some trouble. Plus, there could be some trouble with power storage. Other than that, this is a fine product to use. You could give it a wise try.